Or, I suppose, already calling your bag “trash” is one way to set accurate expectations of what it will look like for your customers. That’s the optimistic take, I suppose. A couple of weeks ago, I found myself eating lunch in Soho with a friend while the Alexander Wang sample sale was in full swing. When we walked by and saw that there was no line, we could help but go in and poke around. I found a pair of amazing black brocade leggings from Resort 2011 that I can’t wait to wear once the weather is cold enough, but the thing that caught my eye the most was the Alexander Wang Raphael Crossbody Bag. 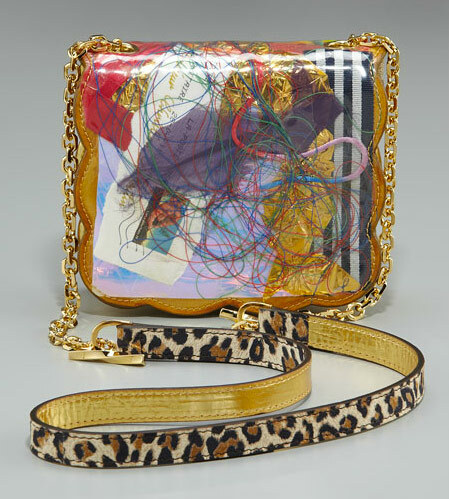 Megs and I are big Proenza Schouler fangirls already, as many of you might have noticed, and I’m already on the record as loving the Proenza Schouler PS1 Crossbody Pouch. The bag is functional, exactly my style and cute as a button – how could I not love it? 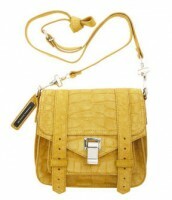 So when you add gorgeous sueded yellow crocodile into the mix, my heart beats even faster. Fair or unfair, whenever I think of Cole Haan, I think of middle-aged women. 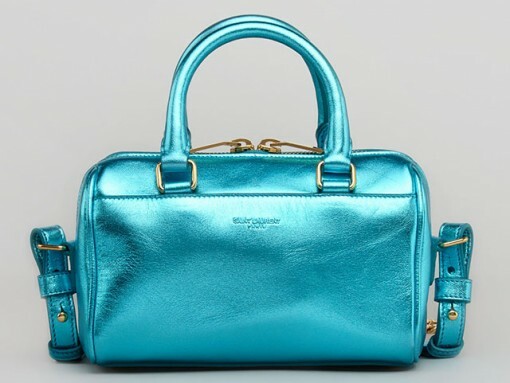 There’s nothing wrong with middle-aged women, of course, but since I’m not yet part of that group, handbags that bring them to mind usually aren’t relevant to my personal style, which tends to be very urban and a bit trendy. I don’t think I’m the only one who commonly associates Cole Haan with a more mature clientele.